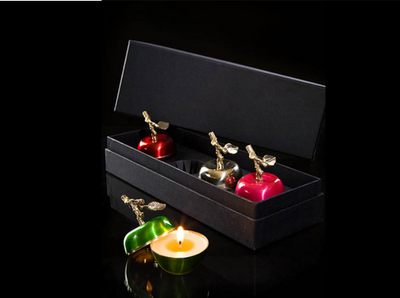 These apple-shaped Boite des Pommes candles are by the fabulous D.L. and Company. Sold by the enchanting Siren Boutique, these candles are scented with Thorn Apple. Burn these on a highly visible or mantel in your home to evoke Snow White's Wicked Queen.